Members have been appointed by the Minister for the Department of Agriculture, Environment and Rural Affairs (DAERA) in accordance with the Office of the Commissioner for Public Appointments (OCPA) NI Code of Practice. The Chair receives an annual remuneration of £26,510 and is expected to commit approximately 40 days per annum to the post. The Deputy Chair receives £11,050 and has a commitment in the region of 20 days per annum. Mr. Colin Coffey lives in Bangor. He is a Chartered Director and Fellow of the Institute of Directors with extensive experience in Corporate Governance. Mr. Coffey has held a number of senior management posts within the Northern Ireland Food Industry including Chief Executive of United Feeds and Manufacturing Director at Pritchitt Foods. He is currently non Executive Chairman of Flint Studios a software development company, 4 Beauty Group a specialist skincare company and is Corporate Services Director of the RDA Group a specialist Property Development company. Maureen enjoyed a successful career with Ulster Bank Group before establishing her own business, Lynx Business Services in 1995. During her tenure with Ulster Bank, Maureen completed her Banking Certificate and Trustee Diploma with the Institute of Bankers in Ireland going on to achieve first place in the coveted Financial Studies Diploma with the Chartered Institute of Bankers. Maureen previously worked as the International Fund for Ireland’s only female development consultant, gaining a successful track record in project development while working in partnership with DARD and DSD. Maureen served as Chief Executive Officer with Derg Valley Care from 2006-2017, a local charity providing health and social care, developing DVC as a high quality social care provider, winning the prestigious National Training Award – individual category in 2010. Maureen graduated as a Mental Health and Wellbeing Life Coach in 2015 and has spent much of her spare time researching the benefits of complementary therapy and coaching as supportive interventions for long-term conditions. She recently earned a diploma in Coaching Supervision and attained further certifications in the sports and physical activity field. She is currently undertaking a BSc in Psychology. Maureen is able to use her experience and qualifications in her recently established spa and holistic well-being business. Ian lives in the North West outside Dungiven on the family farm. The hill farm is all in pasture which is utilised by sheep and a dairy herd. A past President of the Young Farmers’ Clubs of Ulster, he has had a long term involvement in Rural Development, being a past member of the Rural Development Council and a past Chairman of the North West Local Action Group in the 2007 – 2013 Rural Development Programme. Ian was a founder member and inaugural Secretary/Treasurer for the first 25 years of Sperrin Producers Co-op and is now the Vice-Chair. He is a member of the Ulster Farmers’ Union having served as Chairman of both the Hill Farming and Rural Development Committees, and is past Chairman of British Wool. Ian is married to Pamela and they have five grown up children. Dr. Michelle Costello-Smith is a qualified medical physician from the Royal College of Surgeons in Ireland (RCSI) who lives in Oldcastle, Co Meath. Dr. Costello-Smith has held numerous NCHD clinical positions in the Irish Public healthcare system (HSE) managing patient clinical care prior to transitioning into the pharmaceutical industry in 2000. With over 20 years’ experience working in roles of increasing responsibility in: Quintiles (Clinical Research Organisation), 2004 AstraZeneca (UK), 2008 Abbott Ireland Ltd and 2013 AbbVie Limited, Dr. Costello-Smith has successfully executed and managed National Research & Development (R&D), academic and clinical programmes. Her accomplishments include: developing and implementing a national medical department for successful delivery of: all local national clinical research, national medical strategy, quality assurance and related governance / procedural / audit oversight, compliance regulatory and medical affairs activities, in addition to budget & personnel management. In 2016, in a senior executive role as Medical Director of the Irish affiliate of a multinational biopharmaceutical company, she made a personal decision to take a career break to raise her young children on the family farm in rural County Meath. Ms. Theresa Cullen gained an Honours degree at the University of Leeds. She has held a variety of scientific roles in the fields of Chemistry, Research & Development and Technical Sales Consultancy in the Food and allied industries. 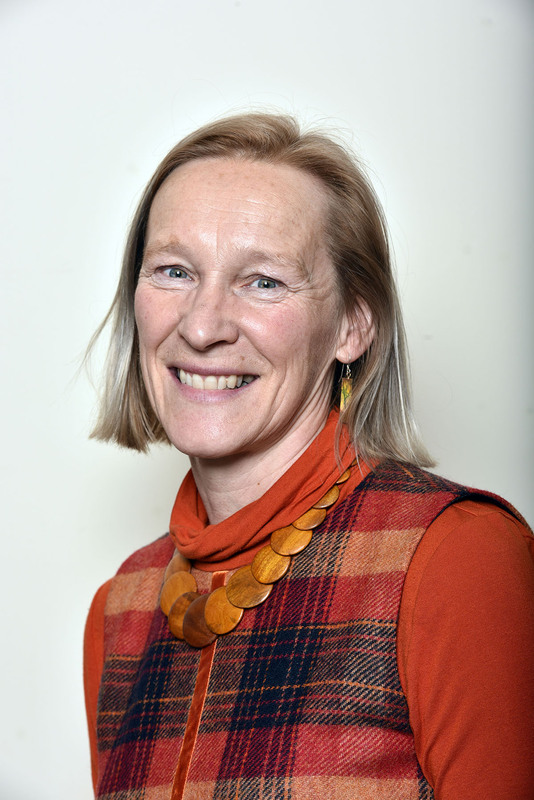 She has significant experience in Organisational Strategy and Management Consultancy - working for many years in the Statutory, Voluntary and Community Sectors as well as working as a Practitioner in the field of Conflict Resolution and Community Relations. Ms. Cullen holds an MSc in Counselling and Therapeutic Communication from the University of Ulster, is a BACP Accredited and UK Registered Counsellor/Psychotherapist, an EMDR Practitioner, specialising in Trauma Therapy and has held a number of senior Clinical Service Management roles in a range of organisations. Theresa lives with her partner in Co. Antrim. Mrs. Fiona Hanna is a Chartered Accountant by profession, and Principle in her own Practice. She is a member of the NI Food Advisory Committee of the Foods Standards Agency. Fiona is a Board member of the Ulster Farmers Union and of Mourne, Gullion & Lecale Rural Development Partnership. She was previously an Audit Manager with Deloitte. Fiona Hanna lives on the family farm in rural County Down near Rathfriland and assists with the running of the arable business. Dr. Richard Horton is a Chartered Engineer and lives in Belfast. He has held research and business centre management roles at Mars Limited UK and the Harwell Laboratory UK. From 1985 to 1989 he was First Secretary (Technology), serving as the diplomatic representative of the UK’s civilian technology interests at the British Embassy in Washington DC, before working for the Hong Kong Government as Technical Advisor (Telecommunications), advising on telecommunications policy and regulation. Dr. Horton was Group Manager in Cable and Wireless PLC (London) and Director for the European Network for Communications and Information Perspectives (ENCIP, France) where he led policy and socio-economic research. He has also worked as a consultant in strategic business development, policy and regulation and was Senior Programme Manager at the Commission for Communications Regulation (Ireland) working in technology foresight and regulation. More recently, he worked as a consultant in technological innovation, strategic business development, policy and regulation at White Rose Consulting (NI) and is founder and Managing Director of Carritech Research Ltd (NI). Ms. Joan Houston lives in Bangor, Co Down and as a Chartered Accountant, has previously held management positions at Peat Marwick Mitchell (KPMG), Deloitte Haskins Sells and Assistant Director at Ernst and Young LLP (now EY). She was the founding partner for the NI practice of Begbies Traynor PLC, before becoming Chief Executive at Houston Hunter in 2015. Ms. Houston joined Insolvency Licensing Committee Institute of Chartered Accountants in Ireland (CAI) at inception and has been Chairman since 2007. She is Chartered Accountant Regulatory Board representative for the UK Joint Insolvency Council. In September 2016 Joan was appointed to CAI Regulatory Policy Board and she is a member of NI Insolvency Rules Committee. Ms. Houston was elected as NI Representative in 2012 (having previously been NI Chairman) of the UK Association of Business Recovery Professionals Council -R3. Ms. Houston is a Director of Bryson Energy and has served as a General Commissioner for Tax (Belfast) and as Governor, Chairman and Finance Director at Hunterhouse College. Mrs. Sharon Smyth lives in Ardstraw, Co Tyrone with her husband Mervyn and four children. A designated Certified Banker, Mrs. Smyth worked as a Relationship Manager in the First Trust Bank for over 35 years and stills retains her membership with the Institute of Bankers. Mrs. Smyth had responsibility for a variety of client relationships across a number of sectors including agriculture, retail, manufacturing and construction. Following early retirement in 2013, she opened her own Business and Financial Consultancy business SME Smyth Business & Financial Consultant. Mrs. Smyth works with a variety of organisations including: Countryside Rural Agri Partnership, Rural Support, Derry City and Coleraine Borough Councils as well as Enterprise NI – Business Start-Up (formally known as NI Small Business Loan Fund). Mrs. Smyth currently volunteers as Chairperson of "Ardstraw Against Trafficking", an anti-human trafficking awareness group. Mrs. Smyth has also travelled extensively with various missionary organisations, travelling as far as India, the Andaman Islands, Zimbabwe and Romania; working with those who are severely disadvantaged and in need. Mr. Solomon lives in Belfast and has been a Barrister for over 7 years specialising in Commercial, Corporate, Civil, Land, Litigation, Chancery, Banking and Intellectual Property Law. He was previously employed as a solicitor and In-House Counsel. From 1990 to 2005, he was Director of Laser Electrical, the Caroline Group and Solomon & Peres Limited. From 2013 Mr. Solomon has been a Director of the Victims and Survivors Service and sits as a Civil Legal Aid Panel Member for the Legal Services Agency. Mrs. Roberta Brownlee lives near Loughgall in Co. Armagh where her husband and son are involved in the family farm business. Roberta has had an extensive professional career in Health & Social Care in the Private, Voluntary and Public Sectors. Roberta owns and operates a Nursing Home in Castlederg, Co Tyrone. She has a particular interest in quality improvement, stakeholder engagement, governance, risk and safety management. Roberta has completed an MSc in Executive Leadership which afforded her the opportunity to study in Boston and Lusanne Business Schools. 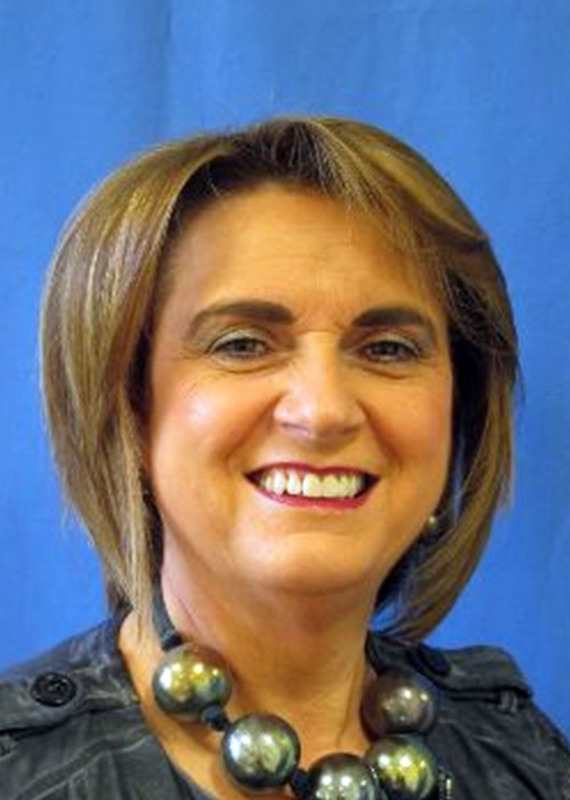 Roberta is presently Chair of the Southern Health & Social Care Trust Board, a member of the Care Tribunal (NI) Department of Justice and the NI member of the Prison Service Pay Review Body. Roberta has a strong commitment to education and is a past member of the Education Board (SELB) and a past member of the Board of Governors in Primary and Post Primary Schools. Roberta has two grown up daughters and three grandchildren. Roberta enjoys fundraising and has spent many years raising money for a variety of charities in NI. Kate Burns is founder and Managing Director of Ocean Veg Ireland Ltd., growing and processing kelp as a food product on Rathlin Island and is also Principal of Burns Consulting, specialising in business and natural resource planning and. Kate has a Masters in Rural Development from Queens University Belfast, a Diploma in Community Development from University College Galway and a BSc. Hons. from the Open University UK. In addition to running ‘Islander® Kelp’, consultancy work has included preparing area based strategies for 'fishing dependent communities' under the EU Axis IV Programme for all of coastal Ireland and also rural development plans for Co Leitrim, and Connemara. From January 2010 to April 2013 she was Director of Community Initiatives at the Gulf of Maine Research Institute, establishing programmes to assist the fishing and seafood industries deal with change and become sustainable. Between 2008 and 2010 Kate was contracted to the Cyprus government to devise a planning framework in preparation of the possible reunification of the island. Prior to 2007 Kate was Chief Executive of the cross border local authority organisation ICBAN covering the north west of the island of Ireland tasked with implementing cross border EU Programs. Kate came to the ICBAN position from seven years in a local authority position in Northern Ireland where she headed up the Rural and Economic Development Programmes. Kate is on the Board of Belfast Met and the Northern Ireland Fishery Harbour Authority. Other interests include rowing, sailing, playing music, and spending time with her grandchildren.